Month of July – every Wednesday – Roxanne’s!! January 31 – Youth Exploitation Safety Symposium (Y.E.S.S)! November 15 – Saving Innocence 3rd Annual Gala- GET TICKETS TODAY! October 8 – JOIN US for our October Chapter Meeting & YOGA-THON Kickoff Event! October 1 – Purpose Brand Launch Party! July 23 – iSanctuary Huge Summer Sale – Up to 75% off! August 1 – Red Carpet Event! Join us for Latino Fashion Week! July 8 – iSanctuary’s Trunk Show Launch! June 14 – Anti-Human Trafficking FLASH MOB! June 11 – June UN Women – USNC LA Chapter meeting! 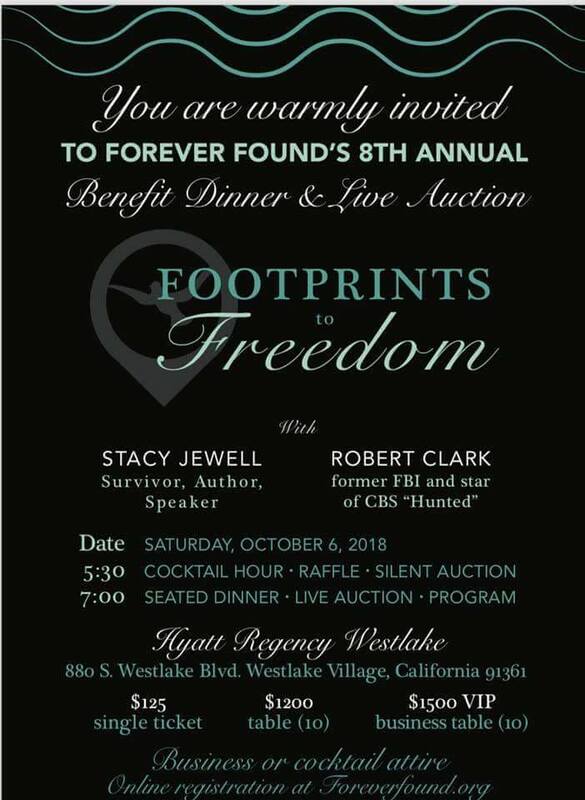 – Enjoy an evening of powerful stories and impactful presentations as we celebrate an Evening to Empower Survivors of Human Trafficking. – Hear from experts on human trafficking in Orange County and uplifting recounts of empowerment and transformation. – Treat yourself to a complimentary martini bar provided by Ketel One Vodka, a dinner buffet, and dessert bar. – Browse the unique array of high-end items at the Silent Auction, and shop beautiful, handcrafted jewelry. 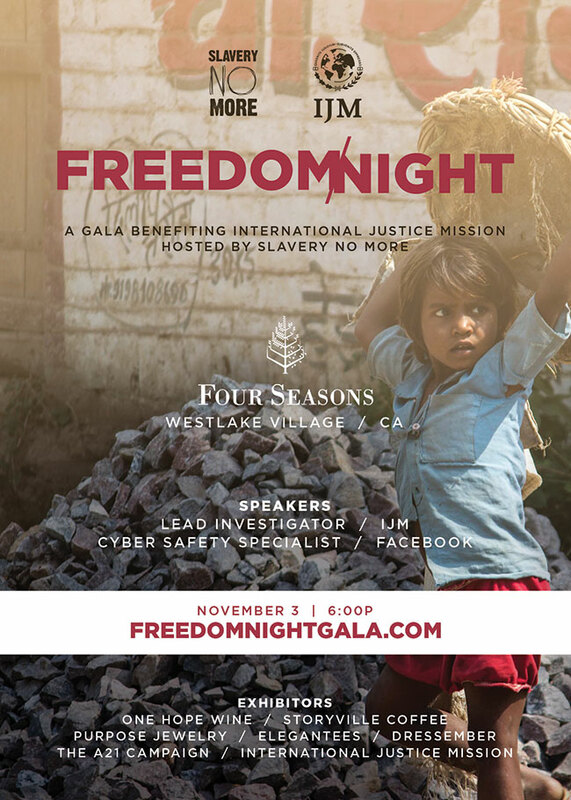 We invite you to come celebrate the many achievements of the past year and to engage in the next steps being taken in the pursuit of freedom for every woman and girl caught in trafficking. You are vital in bringing hope, dignity and transformation to the world’s most vulnerable. You are invited to the Gems Uncovered “Love to Life” Gala Dinner on October 29th, 2016! 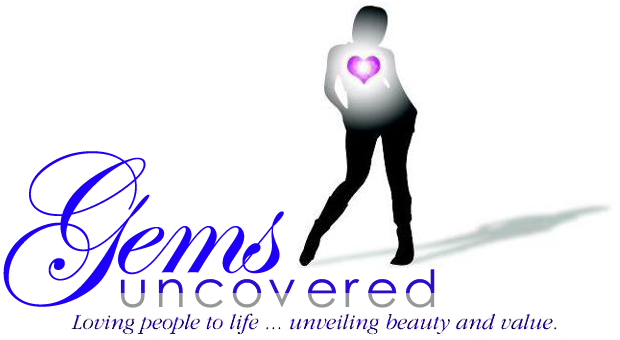 The evening will showcase what Gems Uncovered is doing to provide support and healing to victims of human trafficking. Not only will you experience hope through stories shared by some of the women who have graduated from our Diversion Program, but you will understand what it means to continue to bring awareness and financial support to fight this horrible crime against humanity. Gems Uncovered has pioneered many frontiers over the last five years, starting in 2011 with the mission to bring hope to the women prostituting on the streets of Long Beach. In 2012 we were blessed to open a Drop In Center – the only one in Long Beach – to welcome girls to a safe place where they are listened too, loved on, and offered help through available services. Today, we have a successful Diversion Program called “Free 2 B Me” as well as Street Outreach Teams in Long Beach and Los Angeles. Tickets are at a cost of $75 each. This includes a delicious meal, dessert, fair trade coffee, access to a silent auction, and a night of inspiring hope. 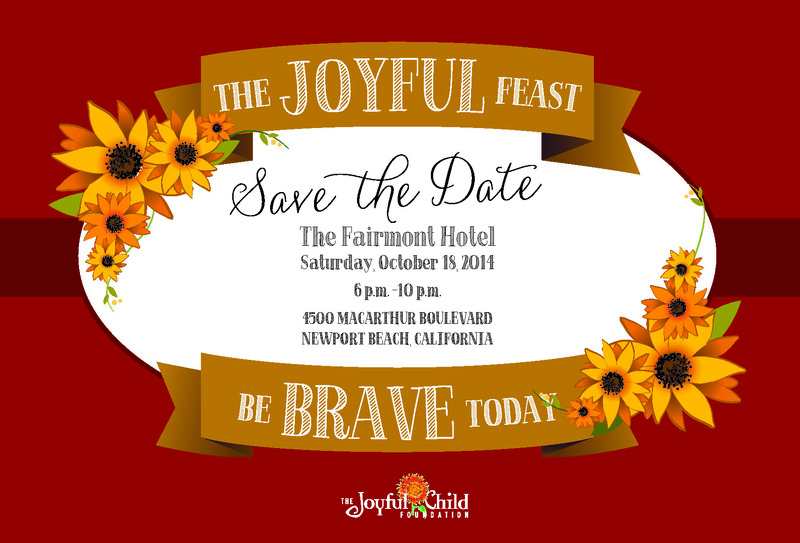 We are very pleased to announce that this year’s Joyful Feast will be held on October 18th at the Fairmont Hotel in Newport Beach! 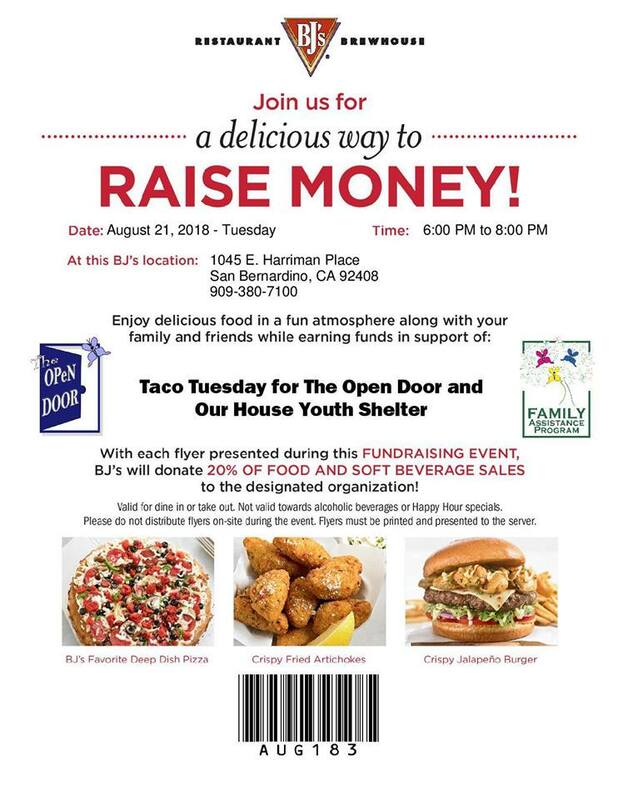 Please mark your calendars today and help spread the word by forwarding this e-mail to friends and family or and/or posting the Save-the-Date on Facebook! Invitations with ticket pricing information will follow soon. It’s going to be a wonderful evening and we hope you will join us! 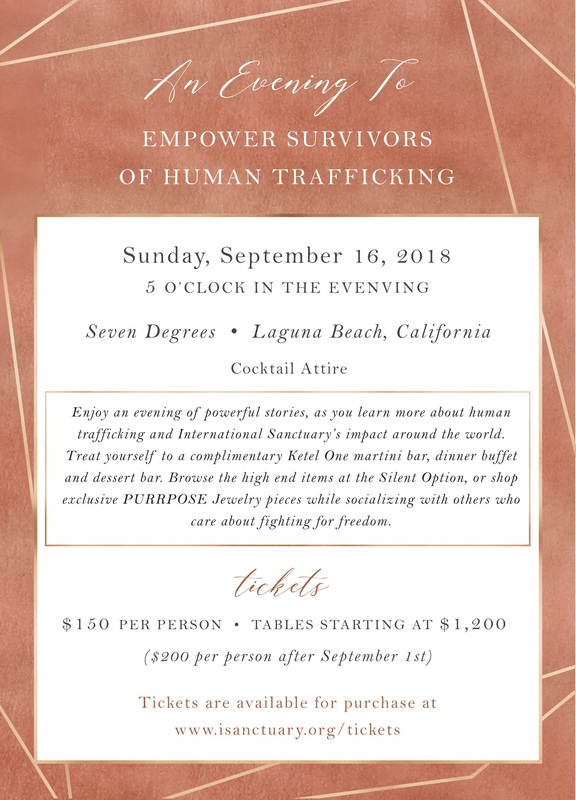 We are excited about keynote speaker, author of Passport through Darkness, Kimberly Smith joining us in the cause to prevent, rescue and restore victims of child trafficking. Please click on the invitation to bring you to the reservation page today! And thank you for continuing to fight with us to end child trafficking. On behalf of Team JAMES 1:27, you are cordially invited to attend the screening of CNN’s Freedom Project Documentary, “Every Day in Cambodia”. 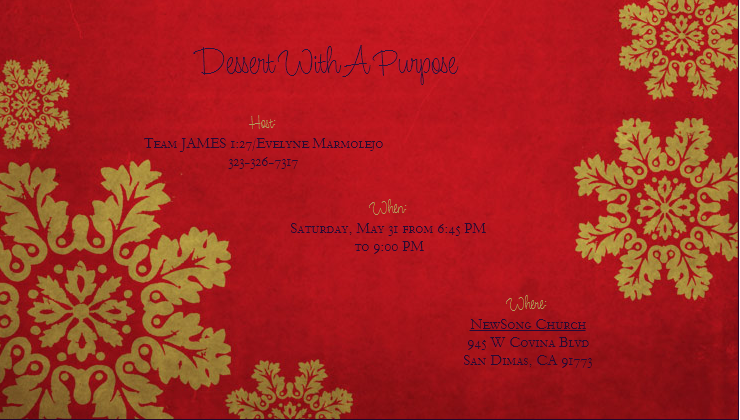 Team JAMES 1:27 will also be hosting a Dessert Bar reception, raffle drawings, and Silent Auction. A suggested donation of $15.00 per family would be greatly appreciated. We will also have raffle tickets for purchase before and during the event. All proceeds will go towards supporting NewSong’s Missions Team trip to Cambodia. Women of Vision Orange County is pleased to announce this year’s Faces of Change Dinner featuring local San Clemente author Kim Yim and her co author Shayne Moore. The dinner and fundraiser will be held on Sunday, May 4th at the Island Hotel Newport Beach. Doors will open at 4 pm for a spectacular silent auction with dinner and speakers to follow. In Refuse to Do Nothing, “abolitionist Mamas” Shayne Moore http://www.shaynemore.com and Kimberly Yim kimyim@cox.net share their stories of coming to terms with the power available to them in their normal, everyday lives to illuminate the shadows where those who traffic in people hide. The women compel corporations to fight slavery in how their products are made, they motivate politicians to fight for human dignity and they mobilize friends and strangers to fight slavery here in California, throughout the nation and throughout the world. Women of Vision (WOV), a voluntary ministry of World Vision, is committed to empowering impoverished women and children around the world including projects in Orange County. A number of our local projects include: Shalimar Learning Center an after school tutoring and activities program for at-risk children from elementary to high school; and A New Way of Life, provides shelter and help to rehabilitate women who have been released from prison, offering them a home and opportunities for training and self-sufficiency for their new lives; as well as international projects in Kenya, Democratic Republic of Congo, Jerusalem/West Bank, Mexico, Bolivia. Orange County WOV was established almost 25 years ago and set the stage for the growth of today’s 40 chapters located around the country. 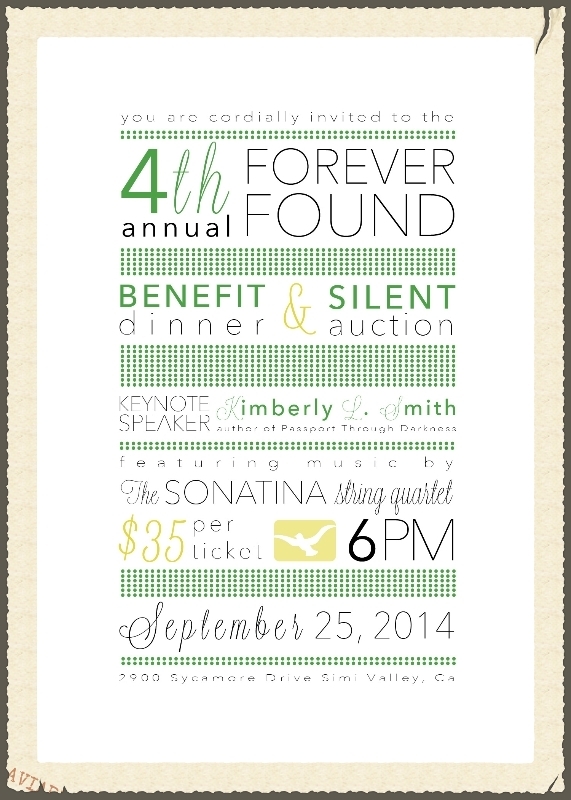 Our dinner event, including silent auction, is our primary fundraising event of the year. Reservations can be made by contacting Marie Forde at marie@formol.com . At $160 per person reservations are limited.